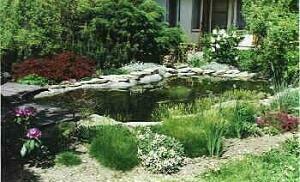 Establishing ponds for ornamental fish breeding. Asian gardens cannot be thought apart from water in various forms. The simplest form may concern a well chosen rock with a natural hollow filled with this life-giving liquid; the highest form then concerns an ingeniously constructed pond with ornamental KOI carp. Although its construction looks very simple at the first glance, certain constructing and natural regularities have to be respected. However, construction of such a pond should not turn into a solely technical problem. 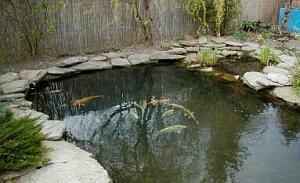 Our plans should consider a small arbour or at least a seat from which we could observe our KOIs. It is a beautiful view which is worth to enjoy. Similarly to bonsai growing, when at the pond, we will forget on our everyday problems and take a nice rest.